How can we bring museum egg collections to life? Egg collecting is now illegal in the UK and has been for many years. Possibly because of the legal situation, and the social stigma understandably attached to egg collecting today, museums can be reluctant to publicise their egg collections, even though they are entitled to do so. For example, out of the thousands of eggs held by Glasgow Museums, only a handful are currently on public display, which is a pity as they are beautiful and fascinating objects. These issues form the basis of my PhD, which is a Collaborative Doctoral Award with Glasgow Museums and the Geography Department at the University of Glasgow. I have been researching the cultural and social aspects of egg collecting (also known as ‘oology’), which was a very popular pastime among both adults and children from the Victorian era well into the twentieth century. I have been researching collectors’ diaries held by Glasgow Museums, and also investigating the wider world of British egg collecting via old egg collecting magazines. This material has revealed some of the people, places, and practices of egg-collecting, which could provide new possibilities for communicating the stories of the birds’ eggs held by Glasgow Museums. One of the most striking aspects of this research has been the interconnectedness of the British egg-collecting world. These connections can take various different forms. 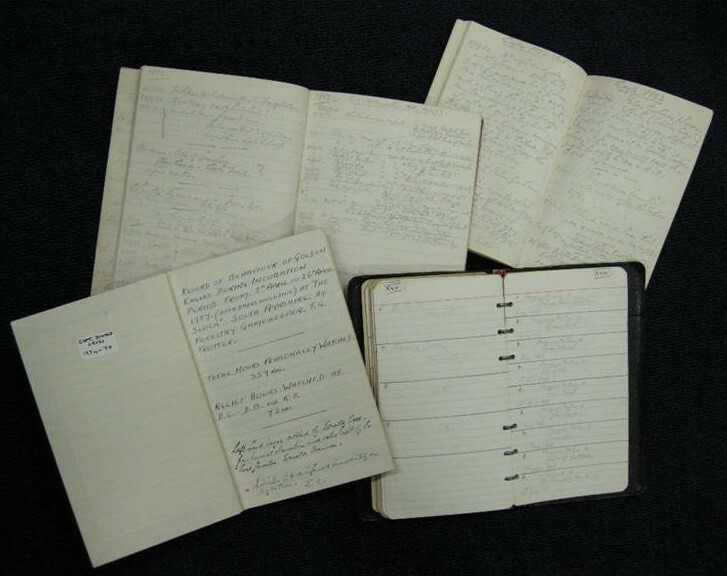 For example, egg collections have been donated to Glasgow Museums by individual collectors who knew each other, such as Captain Donald Cross and Peter Hay, who both lived in Ayrshire in the 1940s, where Cross was a farmer and Hay was a schoolboy. Cross shared his collecting knowledge with Hay, and sometimes even gave him eggs to add to his collection. Eggs taken by a collector called E. S. Steward over 100 years ago have arrived at Glasgow Museums by two very different routes. Some were given by Steward to his friend Robert Arbuthnott, whose son donated his collection in 1967. More recently, in 2014, we received an egg collection confiscated by police after a collector was convicted of trading in eggs, some of which were very old. A few of these eggs were also taken by Steward, and must have passed through various different intermediate collections, along convoluted geographical journeys, before arriving at Glasgow Museums. Eggs taken by another collector have ended up at different museums. On National Handwriting Day in January, the Natural History Museum’s brilliant oology Twitter feed featured a beautifully scribed red-legged cormorant egg from a collector called John MacNaught Campbell. He was the second Natural History curator at Kelvingrove Museum in Glasgow, and one of the earliest egg collectors to visit South America. 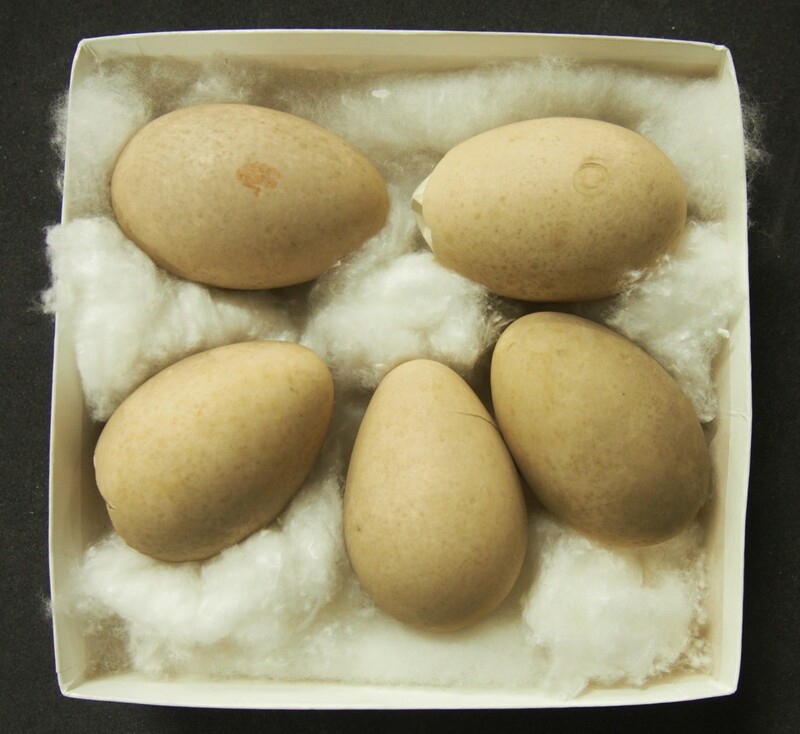 Glasgow Museums also have some of his eggs, including this Antarctic goose set collected just three days after the Natural History Museum’s egg, on 3 December 1871. Telling the interconnecting stories of these collectors, and others, could be a way of showing the human side of egg collecting, while being careful not to encourage the practice today. This could be via traditional media, such as museum exhibitions, online catalogues, or using social media. Finally, a request: I’m keen to trace any other eggs that were collected by ES Steward, as I’d like to see how widely his collection has been dispersed. If any of you know of any of his eggs in your collections, I’d be very interested to hear from you, at e.cole.1@research.gla.ac.uk.